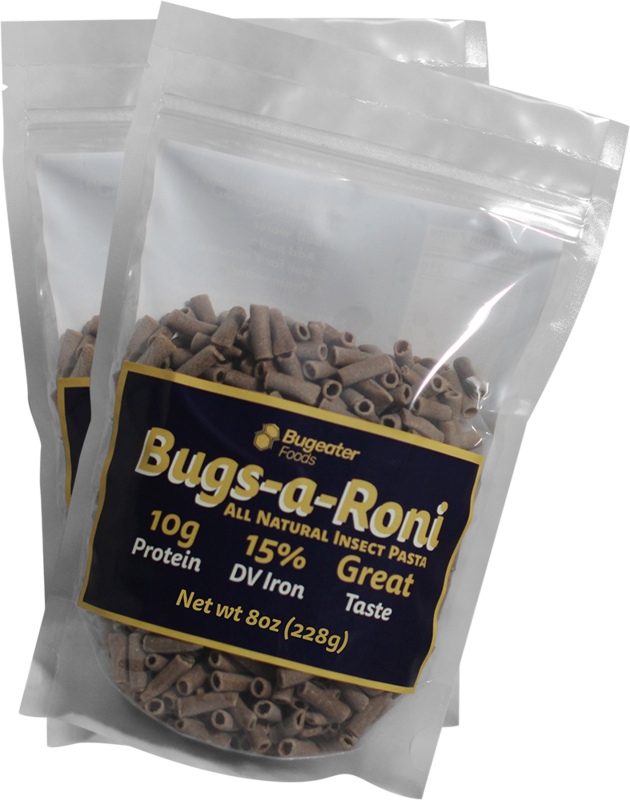 Bugs-a-Roni isn't a traditional pasta. It's got a special ingredient, crickets. This super food helps us pack more protein, iron, and omega 3 fatty acids, and other nutrients into our pasta. While using fewer resources than traditional pasta source. So its better for you, and the earth.